The first Kohler blind was built in 1956 in Tekamah, Nebraska. Ralph Kohler, owner and guide of Kohler Commercial Hunting, needed a permanent blind that could conceal his hunters, keep them warm and dry, and provide them with a comfortable hide for an entire day of waterfowl hunting. At the time, Ralph was also the owner of Kohler Machine. He used the tools at hand to design and create the perfect blind for his needs. Although there have been a few technological improvements to the blinds over the years, the major parts of the original design remain the same. Published in 1995, Ralph’s autobiography “Born to Hunt” details a lifetime of memories, photos, and events that shaped his life as a hunter. 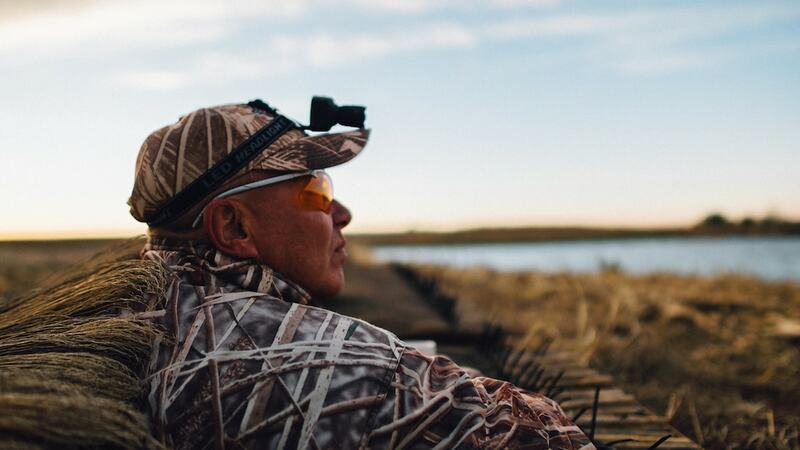 Anyone who had the privilege to sit in Ralph’s blind remembers how much he loves the start of every hunting day. In 2006, Ralph was inducted into the “Legends of The Outdoors” Hall of Fame in Nashville, Tennessee. Garry Mason, founder of the Hall of Fame, noted that Ralph designed the best waterfowl blind he has ever hunted from. The hunting memories made in these blinds are shared by many, and created by one, Ralph Kohler.